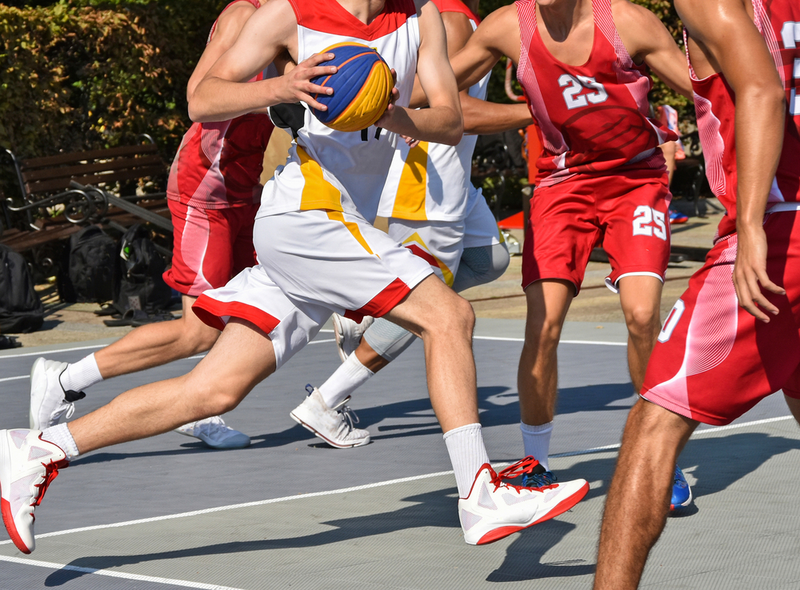 Basketball is one of the most popular partial-contact sports discipline, played both indoors and outdoors. Indoor courts have floors that are highly polished and smooth while the surfaces of outdoor courts tend to be rugged. 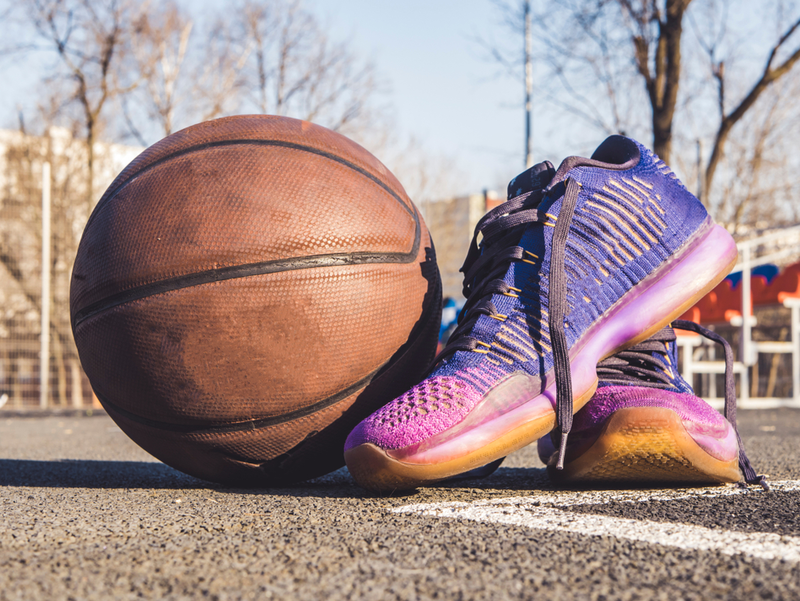 If you’re used to playing basketball outdoors, then you know the indispensability of owning a robust pair of basketball shoes. Though the majority of basketball shoe pairs are meant for using indoors, you do come across brands that are designed for outdoor use. So, what are the best basketball shoes for outdoor? 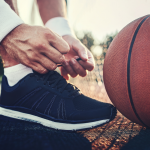 Best basketball shoes for outdoor differ from their indoor counterparts at least in terms of construction, stability, comfort level, stylishness, and weight. How can you tell an outdoor shoe pair from an indoor one? The shoe upper has to put up with a lot of wear and tear and everyday abuse. 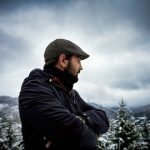 So, it is imperative that the upper should be designed and shaped out in a meticulous manner which helps in maintaining the footwear’s overall quality. 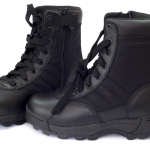 Fabric, leather, and synthetic materials are commonly used for making uppers. Leather as a material is highly durable but requires good care and maintenance. Fabric materials keep the shoe lightweight but are not as hardy as leather. Synthetic materials need minimal maintenance but again are not hard-wearing. Consider buying a pair whose upper has been crafted out of two or multiple materials. The outsole withstands the maximum torture as long as the player is active on the court. This part of the shoe provides traction so that the player has a good grip on the floor while running about or leaping in the air to propel the basketball into the net. However, excessive traction could prevent the player from moving about freely. The outsoles are almost always made out of rubber in order to allow the player to have a solid toehold without compromising mobility. Outsoles have a grooved or ribbed structure that promotes footing as well as movement. Keeping the feet comfortable throughout the game is crucial to enable the player to deliver his best. It is the midsole that keep the feet snug and cozy all through the game. 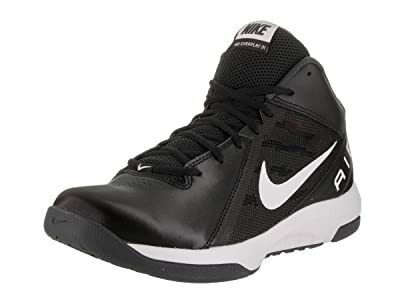 Ethylene vinyl acetate (EVA) and polyurethane (PU) are two materials extensively used for shaping the midsole as these materials furnish the best cushioning so essential during the game. The best basketball shoes for outdoor come with closures that let you settle inside with comfort yet fit perfectly. You can choose from a range of closure styles like straps, Velcro, zips, and laces. Shoes with lace-type closure are the most popular. However, you will have to adjust the shoelaces at various points to make the shoe fit appropriately or take it out which can be quite cumbersome. Fit: The effort you put in choosing basketball shoes will be in vain if the pair does not fit properly, even if they tick all the other boxes. The shoes should fit snugly without being too loose or too taut. You should be able to twist or turn your toe and digits comfortably. Always consider buying one size larger than your normal fit to accommodate for the expansion and contraction of shoes during summer and winter respectively. Material: No matter whichever brand you eventually purchase, make sure the material or materials allow your feet to breathe. Shoe sections pieced together from leather or mesh or a combination of these materials facilitate air circulation and are also durable and lightweight. Traction: Traction is a very vital factor that you should give sufficient weightage to before deciding to purchase. 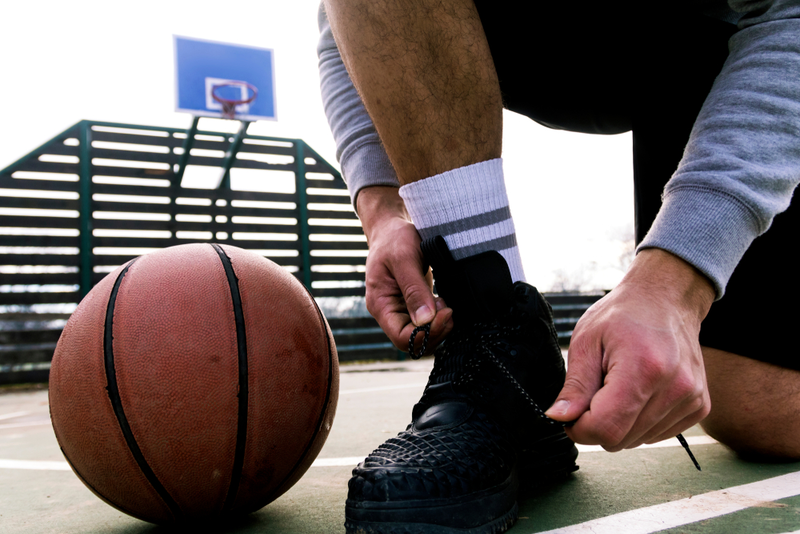 Traction lets you have a solid grip while you’re in motion or dunking. However, bear in mind that too little or excessive traction could make you susceptible to falls and/or restrain swift movements. Select a pair whose outsole is made of EVA or PU material and has grooved patterns. Compound Type: Shoes fashioned out of heavy-duty rubber material always tend to be the best basketball shoes for outdoor use. Hence always buy a brand whose outsole and midsole have been created out of toughened rubber compounds. 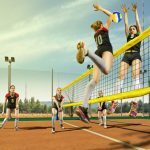 Price: Though the expensive models happen to outlast the cheaper ones, the hardness of exterior courts together with the harsh playing environment take a heavy toll on the longevity of superior models as well. Hence, it’d be more sensible on your part to opt for affordable pairs that you’d be able to replace when you need to. The ‘Adidas Performance Men’s Cloudfoam Ilation mid Basketball Shoe’, offers you more than your money’s worth. The upper, stitched out of a combination of leather and fabric keeps the shoe lightweight and comfortable as well as ensures lasting performance. The rubberized outsole is incredibly tough and withstands everyday wear and tear. The patterned ruts and grooves on the outsole surface furnish balanced traction while you move around in the court or attempt dunks. The meshed tongue, collars, and heel arch keep your feet cozy inside by promoting circulation of air. Additionally, the microscopic perforations on the base of the upper and the logo comprising three parallel stripes enhance ventilation. The midsole, insole, and the sockliner of the shoe exploit CLOUDFOAM technology to the hilt for keeping the feet fully cushioned. The broad shoelaces go through the aglet-less holes in a manner that prevents them from getting knotted or looped. The tip of the upper and the arch at the heel end are broad and somewhat raised facilitating comfortable wriggling of the toe and placement of heel. 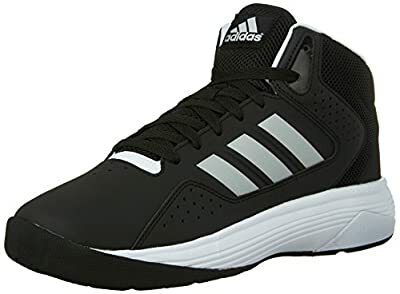 The Adidas Performance Men’s Cloudfoam Ilation mid Basketball Shoe is perfect for players who wish to get the most out of their money’s worth. The pair not only scores aesthetically but delivers also delivers on the performance front. The Men’s Air Overplay IX Wide Basketball Shoe from Nike is one of the coziest shoes that you gift your feet with. The entire shaft of the shoe upper, from the arch to the tongue has been crafted out of premium quality mesh material that stimulates circulation of air, keeping your feet well aerated. The broadened arch together with the raised front section of the upper allows you to twist your toe comfortably and offers footing to your heel, thereby improving grip and momentum. The midsole which overlap with the outsole are made from durable phylon material, offering good padding to your feet, and keep you steady while playing. The outsole has been shaped out of quality thermoplastic polyurethane (TPU) material transferring sound foothold. The wave-like grooved patterns on the shoe surface come in handy when you’re trying to maintain balance while dodging past other players or while leaping upwards to drive the basketball into the net. There are perforations just below the tongue that contributes towards ventilation. The shoe upper and insole are composed of mesh and synthetic materials that make the footwear hardwearing as well as lightweight. Bottomline: If you’re looking for a shoe pair that offers good excellent cushioning and ventilation, do not look beyond the Nike Men’s the Air Overplay. 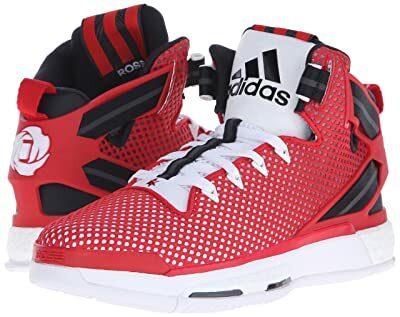 The Adidas Performance Men’s D Rose 6 Boost Basketball Shoe has been designed with meticulous care making it one of the best basketball shoes for outdoor. Its shaft which spans 5.5” from the arch to the tongue is fully cushioned helping you to keep your feet comfortable while you are engaged in gameplay. On the other hand, the advanced Boost technology offers solid stability and support, enabling you to excel in every department of the game. The upper is meshed all around that helps improve circulation of air, thus preventing your getting too sweaty and checking moisture buildup. 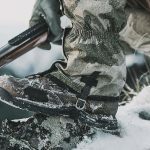 The EVA midsole is effective in keeping the feet stable inside while the non-marking tough rubber outsole furnishes excellent grip without hindering motion. The fine rutted engravings on the sole base come to your aid during dunking or dribbling past your opponent. The prominent collars, tongue, and arch promote aeration and helps keep the feet firmly saddled. A fabric loop at the tip of the arch allows you to adjust your foot. The lace-styled closure lets you loosen or tighten the collars for a customized fit. Overall, the Adidas Performance Men’s D Rose 6 Boost is ideal for those who value comfort and traction over speed during playing. 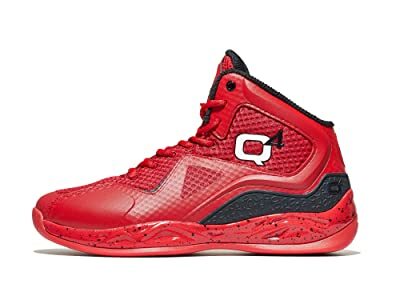 The Q4 Sports Millennium Hi Basketball Shoe is synonymous with high-level performance and comfort. Its lightweight design makes you feel as if you’re moving around with just your socks on. The signature Q4 Ultra Vent™ Mesh upper allows your feet to breathe. On the other hand, Rearfoot EGS and synthetic superimpositions keep your feet solidly locked in position for enhanced control. Super-sensitive full-length KOMpress Technology comes to your aid by providing excellent cushioning. Omni Grip rubber outsole boosts traction during movements while the herringbone-styled furrows facilitate sudden and instant stoppages. Midfoot shank technology makes the shoe perform in accordance with your motion. The synthetic overlays are positioned strategically for keeping the shoe lightweight as well as for furnishing stability. By and large, the Q4 Sports Millennium Hi Basketball Shoe is perfect for those who with medium or small feet. 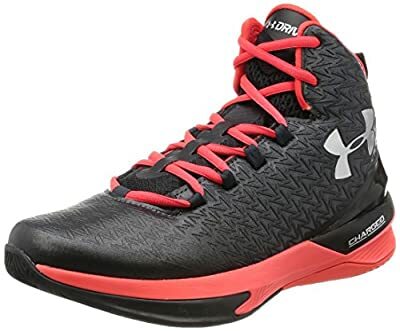 If you’re a seasoned basketball player with extensive outdoor playing experience and looking for a versatile pair of shoes, then the Men’s UA ClutchFit Drive 3 from Under Armor is your best bet. Crafted out of a combo of synthetic and fabric materials, the basketball shoe pair takes advantage of the proprietary ClutchFit technology that boosts breathability and comfortableness. The ergonomic design of the shoe matches with your feet’s natural profile, thereby boosting stability and traction for the entire duration of your game. The superior design means the shoe expands and contracts in sync with your feet, thus enabling you to play like an acclaimed professional. Counter heel on the outside and interior shanks also improve control and stability. The unique bear-trap lace closure system together with the tongue helps you to settle your feet inside firmly and keep them in position without sacrificing comfort. The OrthoLite sock liner has been chipped accurately so that its contour corresponds with that of your feet. Material with antimicrobial quality has been used for die-cutting the sock liner which prevents bacterial growth and development inside the shoe. 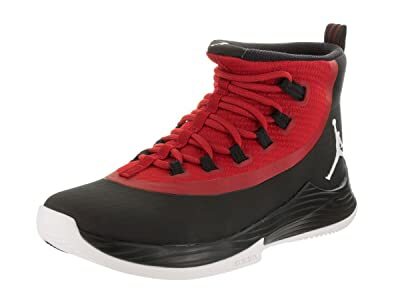 The Jordan Men’s Ultra Fly2 Black/White Gym Red from Nike also easily qualifies for the ‘best basketball shoes for outdoor’ tag. The shoe upper has been created out of textile material and has microscopic pores throughout that enhance circulation of air thereby minimizing sweatiness and warding off foul odors. The hardy rubber outsole offers the right level of traction on the basketball court and the spiral ruts and grooves improve grip and sudden stops. The shaft extending from the middle of the upper to the arch comes in handy for easily wearing the shoe and locking feet solidly without forgoing comfortableness. Zoom air units on the arch and forefoot advance cushioning. Webbed-styled lace closure is ideal for a personalized fit while the full-length internal bootie structure boosts relaxed feet placing. Injected EVA midsole further overall cushioning. 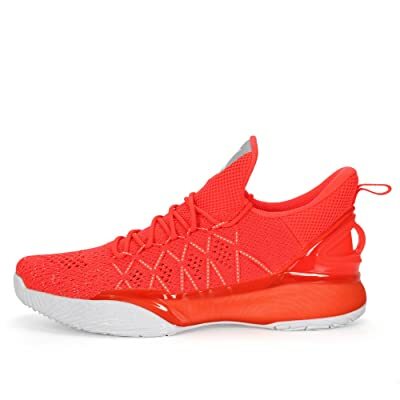 The low-cut design of the ANTA Klay Thompson Light 3 Men’s Training Basketball Shoes is just right for practicing off court as well as engaging in competitive game formats. The multi-tiered fabric with flowing lines offers the right level of comfort to your feet when they’re stressed out during a match. The LIVEKNIT shoe upper wraps snugly over your feet keeping it breathable and light as long as you are engaged in a game. The outsole has been carved out of molded TPU and EVA materials for improving foothold. The innovative lace closure system helps in the closing-in of the entire knitted section when the laces are tightened, thus improving fit. The Harden Vol.1 Basketball Shoe is another topnotch offering from Adidas that is more than eligible to be labeled as a good basketball shoe for outdoor. This shoe pair’s knitted upper has been stitched out from a combination of textile and synthetic materials that promotes ventilation and hugs your feet snugly. The simple lace closure system enables you to tie the shoelaces easily without falling prey to knotty loops. The dense padding all around the heel and ankle areas keeps your feet cushioned at all times. The tough outsole with its underside having hexagonal grooves on the front and crystalline ruts at the back offers good traction. A total of 5 of the best basketball shoes for outdoor brands were taken up for review-3 models of Adidas, 2 of Nike, and one each from Q4 Sports, Under Armor, and ANTA KLAY. Since Adidas and Nike are world-class brands, you can rely on their products but go through the reviews carefully before deciding on a pair. Additionally, shoe pairs of these two brands are more expensive than other comparative brands, so take your budget into consideration as well. As far as the other brands are reviewed, the millennium high shoe pair from Q4 Sports is packed to the hilt with advanced features. 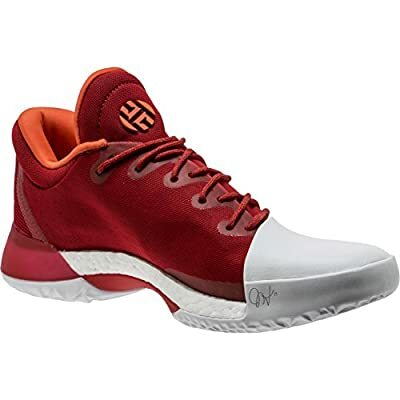 The Under Armor basketball shoes available in different colors and a range of sizes, is also worth spending your money as is the ANTA KLAY shoe pair which is very affordable. thanks for writing this interesting article. If I have to walk 3-5 miles every day so what should be the rubber quality of the shoe? Please suggest, I need a reasonable pricing shoe but I am not sure about the inner sole quality. Your guidance will be much appreciated.